As the Arctic summer sea ice reaches a near-record low, US National Center for Atmospheric Research (NCAR) supercomputer simulations explore the question of when the Arctic sea will be ice free. The answer: It's sooner than you think. Arctic sea ice at historically low level. Computer visualizations show summer sea ice in the Arctic disapearing by mid-century. NCAR models highlight shorter time sequences to spur policy change. BlueFire and Ice. 7.5 million computing hours on the BlueFire supercomputer and 1 PetaByte of data storage were required for this NCAR Computational and Information Systems Laboratory visualization. That’s the good news. The bad news is that the simulation shows the Arctic could be free of summer ice by mid-century unless human-caused climate change is arrested. Courtesy NCAR. The US National Snow and Ice Data Center (NSIDC) announced yesterday that sea ice in the Arctic had dwindled to the fourth lowest level since satellites began capturing images of the area in 1979. All nine of the lowest sea ice extents have occurred in the last nine years, according to the NSIDC. News of another lean year for end-of-summer sea ice has people wondering anew just how long we have left before Arctic Septembers become ice-free. 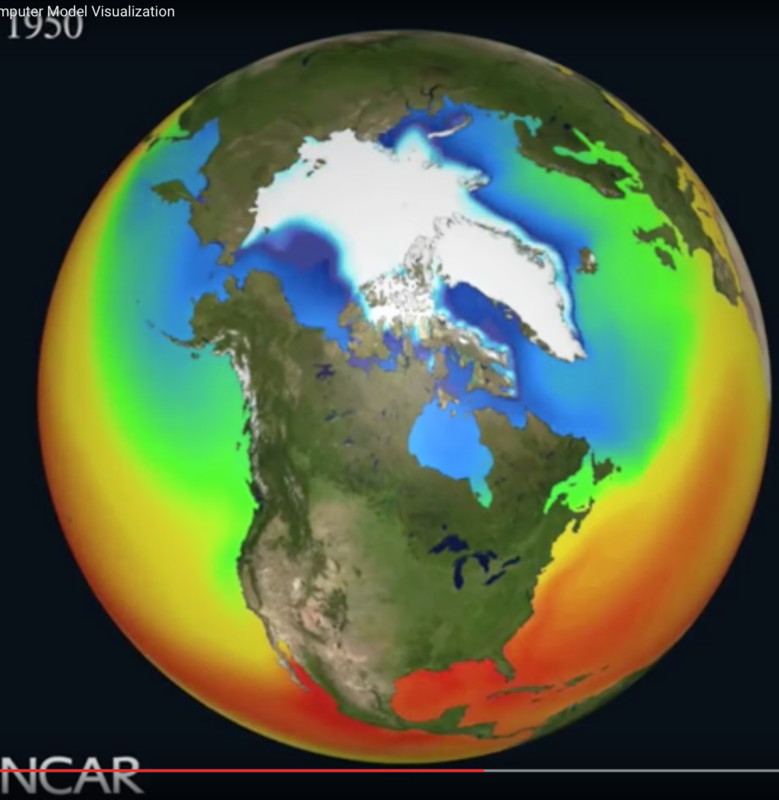 NCAR climate modelers Marika Holland and David Bailey took a crack at answering that question a few years ago, and their results are illustrated in an animation created by Tim Scheitlin of NCAR's Visualization Lab. If human-caused climate change continues unabated, the video shows that all Arctic sea ice could disappear in some Septembers as early as mid-century. Summer Arctic ice melt depends on a range of factors, such as the temperature of the ocean surface, how many storms hit the region, or how much ice accumulated during the preceding winter. Regardless of how much melt eventually occurs, the process typically wraps up in mid-to-late September, just as the sun prepares to set on the North Pole for the first time since rising the previous March. With the return of darkness the ice begins to regrow. Global climate models, like the NCAR-based Community Earth System Model (CESM), are typically used to show trends over multiple decades. But researchers at NCAR and elsewhere are now working to see if the models can be used to make shorter-term decadal predictions of sea ice changes, a timeline that is important to policy makers, residents of the region, and others.